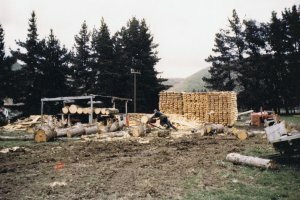 Hautapu Pine Products was established by Trevor Benson, technically in 1990. 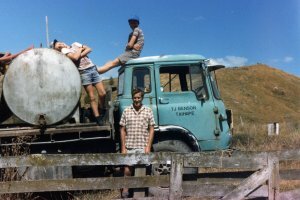 However, the path to forming the company started back in 1963 when Trevor, aged 21 moved to Taihape. When Trevor arrived in Taihape he owned a chainsaw and not much else. He spent the first years working in the Taihape area doing any type of chainsaw work available. In 1967 he had a portable batten mill made and mounted on an old truck chassis. Trevor towed the mill from farm to farm, felled the trees, milled the logs into battens, and stacked them to dry. 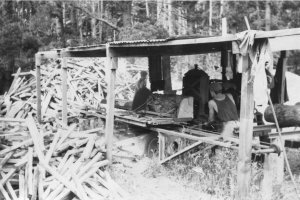 The battens were treated at the local mill, which was at the site where Hautapu Pine is today. 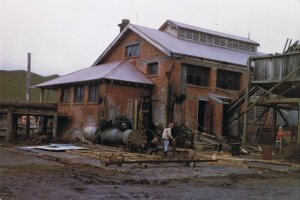 In 1972 Trevor purchased a disused abattoir and set up the mill inside the building. Trevor continued to fall trees himself and he carted the logs back to the mill with his petrol TK Bedford truck. During the weekends he had one or two men help to cut battens. 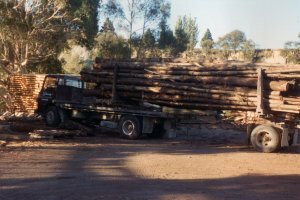 But during the week he was a ‘one man band' - he would cut down trees, bring them to the mill on his petrol TK Bedford truck, stack battens and do deliveries. In the early 1980s Trevor started hand-peeling posts and then borrowed a tractor-driven peeler. He also bought in green-peeled posts and air-dried them ready for treating. In 1983 Trevor purchased a Morbark peeler which was set up as a permanent installation at the abattoir site. 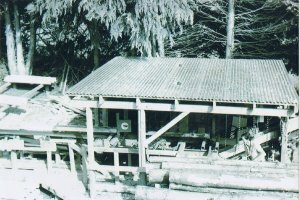 The first mill was very basic - the log deck was just railway iron and the logs had to be pulled onto the cutting deck with gaffs. Lengths of chain hung from an overhead beam to show where to cut the log for the different post lengths (today laser lights shine on the logs to mark where to cut). 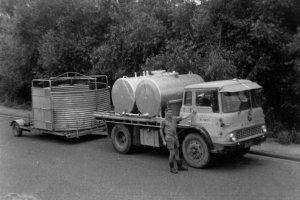 By 1987 the abattoir site was too small and in 1988 Trevor purchased Hautapu Pine's current site on State Highway 1. The market for Hautapu Pine posts continued to grow and by the late 1990s the company could not meet demand. A new and larger mill was designed and it started operating in late 2002. 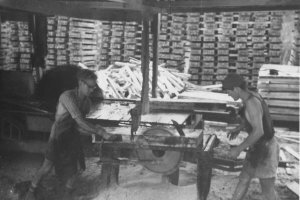 When the mill opened it was described by the industry as the most efficient post mill in NZ. It is still regarded as the one of best designs in NZ. Hautapu Pine sold posts to the local area up until 2009 when it started a separate retail business in Taihape, Hautapu Rural Supplies. Trevor is now semi-retired but he is still involved in the business in an advisory capacity. Three of his children, Susan, Mark, and Chris, are now responsible for the day to day running and management of the company.